African innovation is on the rise and the continent could play host to several new technology disruptions in the next few years. According to Darryl Bernstein, Partner and Head of the Technology, Media and Telecommunications Practice at Baker McKenzie in Johannesburg, it is an increasingly common belief that various technologies benefit from the lack of IT legacy systems and old, entrenched infrastructure in Africa. 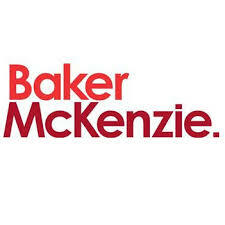 Managing Partner at Baker McKenzie in Johannesburg, notes that Baker McKenzie has established numerous innovation hubs in various locations around the world, which are proving to be successful in identifying challenges and collaborating on innovative solutions. “The firm’s Whitespace Collab in Toronto, for example, allows for face-to-face collaboration between attorneys and leaders in business, government, academia and not-for-profits to address complex global challenges at the intersection of business, law and technology. Many of the collaborations centre on innovations related to data privacy, smart cities, and other data-related challenges, in a conducive workspace. “In addition, our partnership with the World Economic Forum’s innovation hub in San Francisco – the ‘Centre for the Fourth Industrial Revolution – aims to ensure that not only is the firm adapting to meet the new needs of clients, but that they are all participants in the discussion to harness innovation that is in the public interest. This hub’s mission is to accelerate the deployment of technology and science for positive impact on individuals and the societies, while minimizing their downside risks. “In April, the firm became one of the founding sponsors of “ReInvent Law“, the first Legal Innovation Hub in Continental Europe. Reinvent is a hub for multidisciplinary collaboration, enabling cooperation between lawyers and corporate leaders as well as academics and representatives from non-profit organizations. It is place to meet and to encourage communication between lawyers and digital experts,” he says. The firm is also part of the Corporate Legal Operations Consortium, an organisation of legal operations professionals who are seeking to share best practices, create standards and accelerate innovation across the legal services ecosystem.